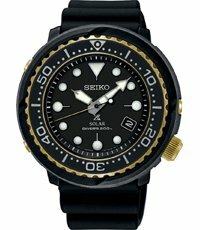 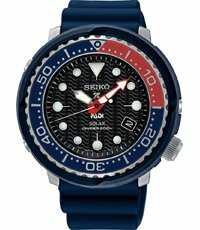 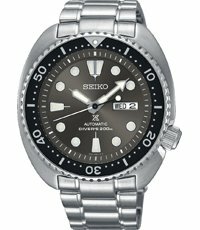 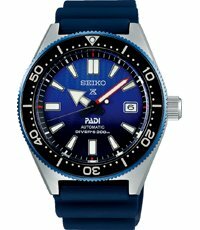 This Seiko Prospex watch is 10 ATM water resistant and can therefore withstand a swim. 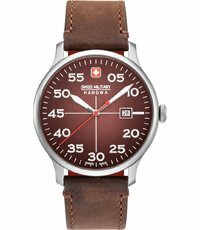 Although it is inadvisable to go swimming with the fine cognac-coloured leather strap. The water resistance of the watch is guaranteed because the battery is charged by sunlight and does not need replacing. 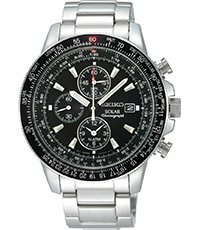 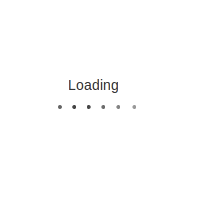 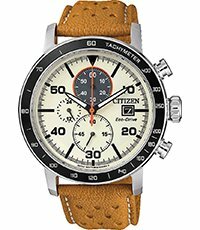 The chronograph measures up to 60 minutes in 1/5 second increments. 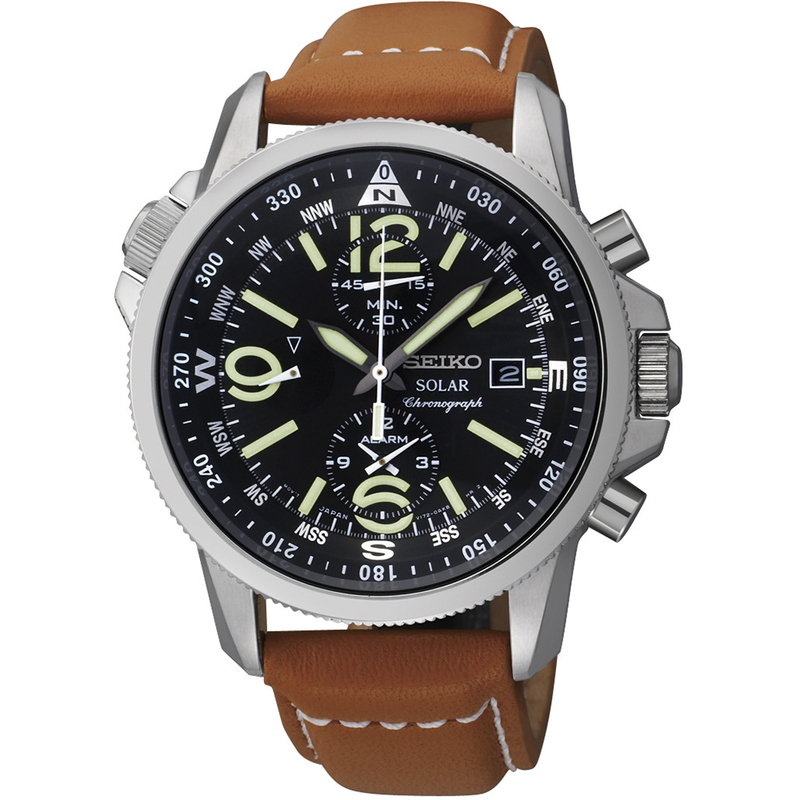 In addition, the watch includes an alarm and the inner bezel - operated via the top left crown - is fitted with a compass. 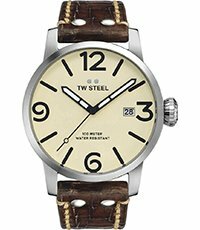 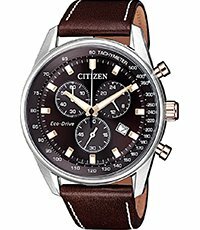 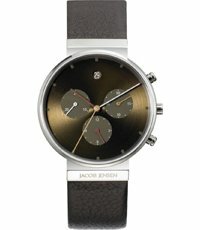 The watch is made of solid brushed stainless steel and has elegant chrono pushers. 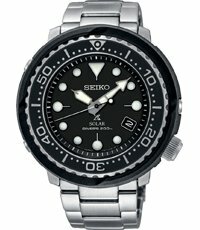 Both the easy to read numerals as the hands are provided with a luminescent layer for legibility in the dark.